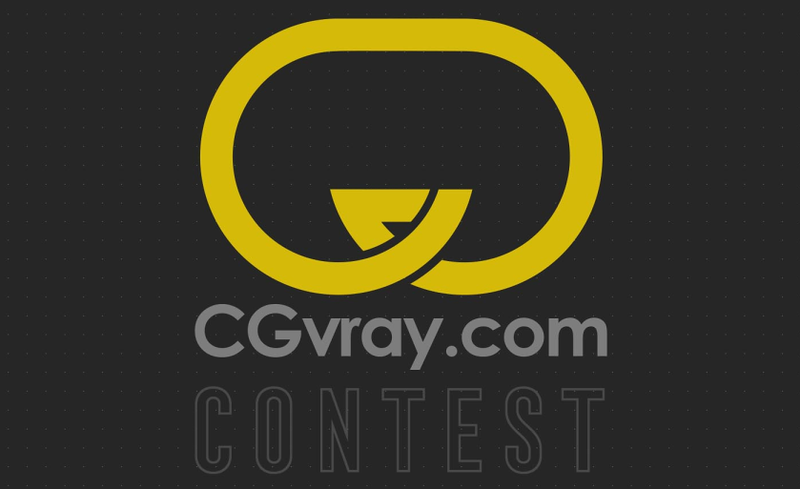 The SIGGRAPH Computer Animation Festival (CAF) is the world's most innovative immersion into the latest CG and Animation technology. 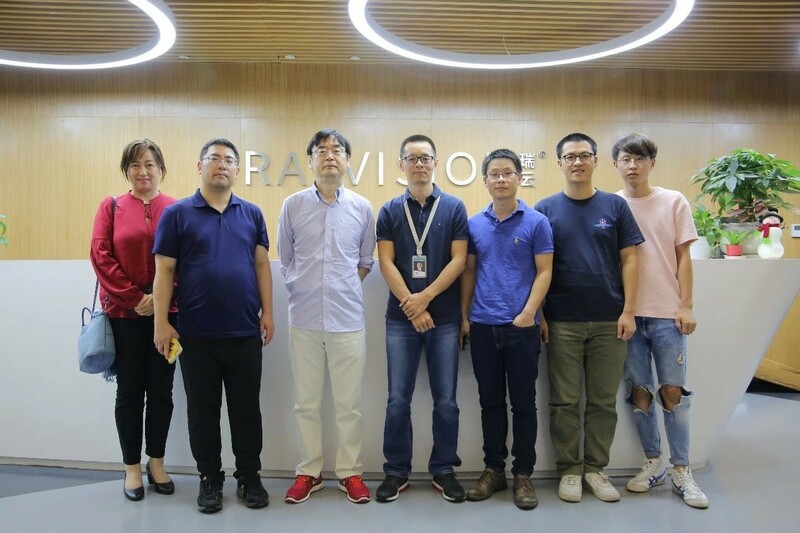 Recently, Fox Renderfarm's China mainland headquarter-Rayvision, successfully held SIGGRAPH Asia 2017 CAF animation exhibition and Sino-Japanese technology sharing conference, which was co-hosted by Shenzhen ACM SIGGRAPH, Digital SilkRoad, Zhuohua Mutual Entertainment, Pixeland digital inc, Quantum Dynamics and Jaws Digital Visual Creativexv. 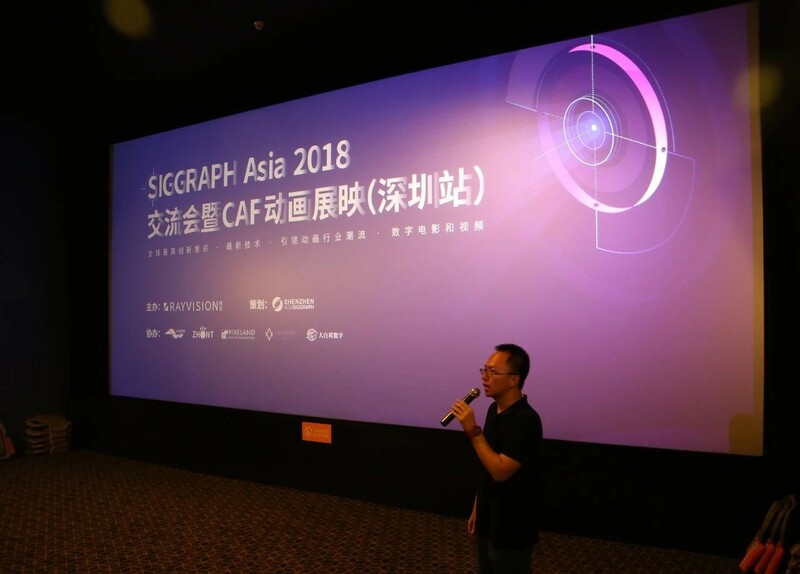 Mingjun Xu, the president of Shenzhen ACM SIGGRAPH, showed up as a host of the event, with hundreds of CG professionalist gathered to enjoy the SIGGRAPH Asia 2017 CAF award-winning works, and communicated with the technology of the Japanese animation industry. 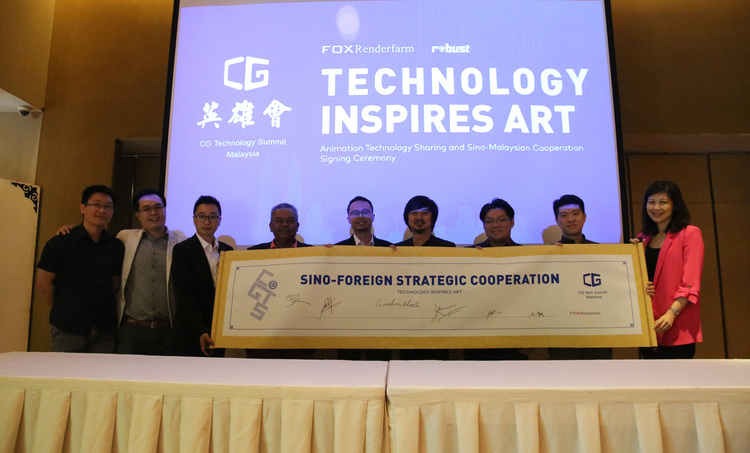 The interaction provides a valuable opportunity for domestic computer animation industry practitioners to learn and understand the global animation development. The exhibition presented a number of SIGGRAPH Asia 2017 animation festival winners, including the best student work "Garden Party", the best-animated performance "Afterwork", the best review work "Here's the Plan" and other outstanding award-winning works at SIGGRAPH Asia 2017. 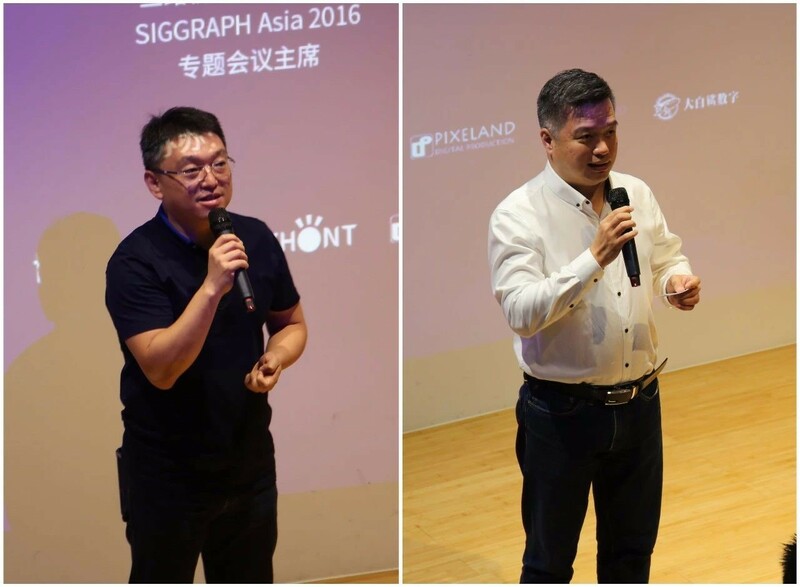 Before the sharing, one of the Senior Partners, also referred as the President of Digital SilkRoad - Mengdi Li and Chairman of SIGGRAPH Asia 2016 Special Session- Xingyu Liang delivered speeches for the event and welcomed the arrival of on-site industry professionals. Ken Anjyo is the Executive R&D Advisor for OLM Digital. He has been credited as R&D supervisor for recent Pokémon and several other movies. His research focuses on the construction of mathematical and computationally tractable models. His research includes “Tour into the Picture” (a predecessor of depth from-single image methods), recent SIGGRAPH and IEEE CG&A papers on art-directable specular highlights and shadows for anime, direct manipulation blend shapes for facial animation, and early research in hair animation and natural phenomena. He is a conference chair of SIGGRAPH Asia 2018 in Tokyo. He is a jury member of SIGGRAPH2014, 2015 Computer Animation Festival. He is the co-founder of the Digital Production Symposium (DigiPro) that started in 2012. He also (co-)chaired several SIGGRAPH events, including SCA05, NPAR08, SIGGRAPH Asia 2009 Sketches and Posters program, SIGGRAPH Asia 2015 Course programme and was a co-chair of the 2014 symposium Mathematical Progress in Expressive Image Synthesis (MEIS2014). Japanese animation plays an important position in the global animation history. During the speech, Ken Anjyo explained the development of Japanese CG animation through some cases. According to Ken Anjyo, there are still very few companies using cloud rendering in the Japanese film and television industry. Most of them are still in the stage of using their own render farms. 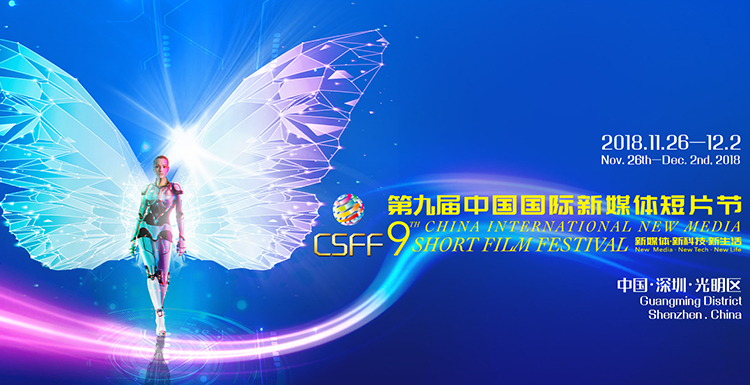 However, with the development of the CG animation industry, Japan and China are expecting more opportunities for technical cooperation. Miyake began his gaming career in 2004 after completing his Ph.D. at Tokyo University, builds AI for Square Enix’s critically acclaimed Final Fantasy series. Youichiro Miyake has been in development of video game titles while researching game AI technologies as the lead AI researcher at SQUARE ENIX. He developed the technical design of AI for the following game titles: CHROME HOUNDS, Demon's Souls, Armored Core V developed by FROM SOFTWARE, and FINAL FANTASY XIV, FINAL FANTASY XV, and Kingdom Hearts 2.8 developed by SQUARE ENIX. 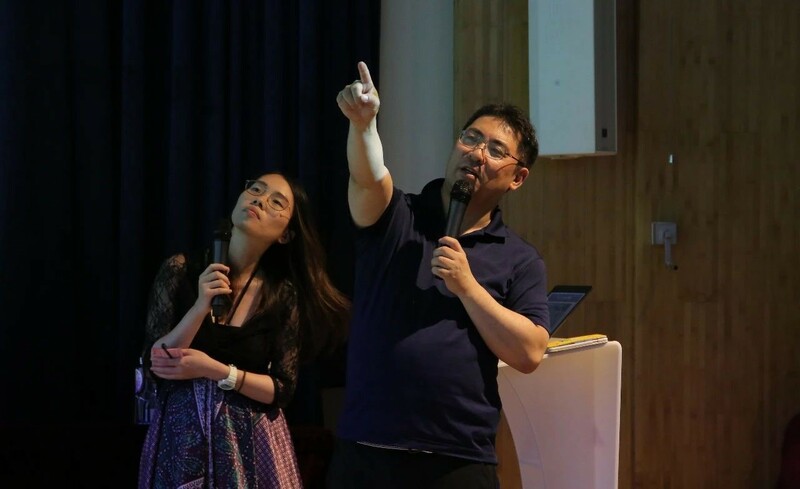 Furthermore, he is the chair of the SIG-AI in International Game Developers Association Japan Chapter, and also the board of Digital Game Research Association Japan and the Society of Art and Science. He is the author of the four books "Stories on Philosophy for Artificial Intelligence" "Artificial Intelligence pictures book" "Making a game AI method" (2016) and “Why can AI talk with the human?” (2017). As we all know, the "Final Fantasy" series of games and the advent of the film is of epoch-making significance. No matter from the character image or the environmental scene, it is real life immersive experience. 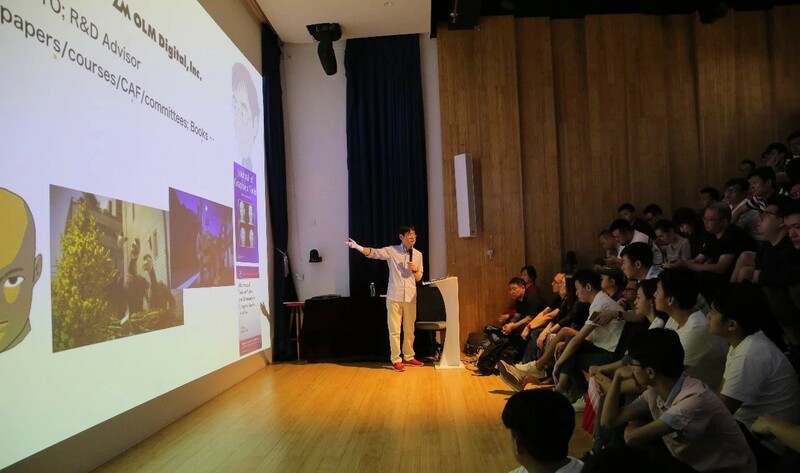 At the event, Youcihiro Miyake explained the development and production process of AI game technology through the project “Final Fantasy XV”, and interacted with the guests and scholars to answer the questions. This exhibition is the second series of events that hosted by Fox Renderfarm. 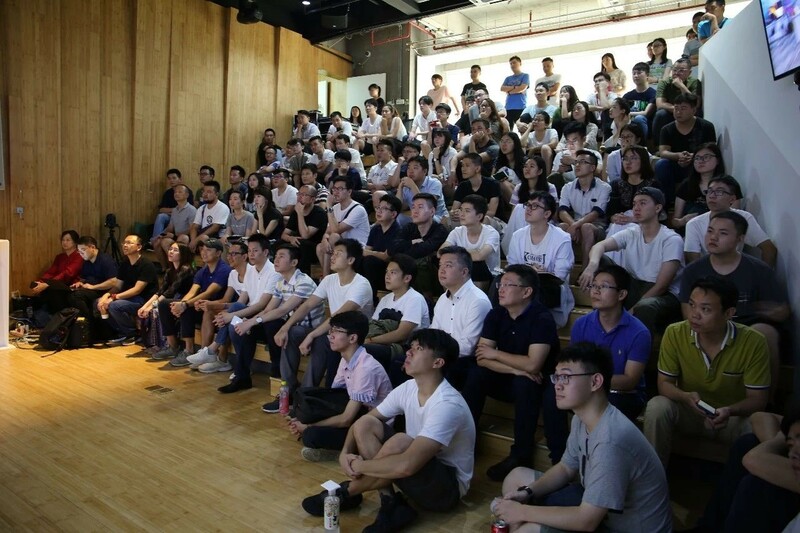 At the exhibition, Fox Renderfarm Marketing Director-Haibin Zheng said that over the years, Fox Renderfarm has established a good relationship with SIGGRAPH and has participated in SIGGRAPH for several consecutive sessions as a sharing guest to attend the special conference. 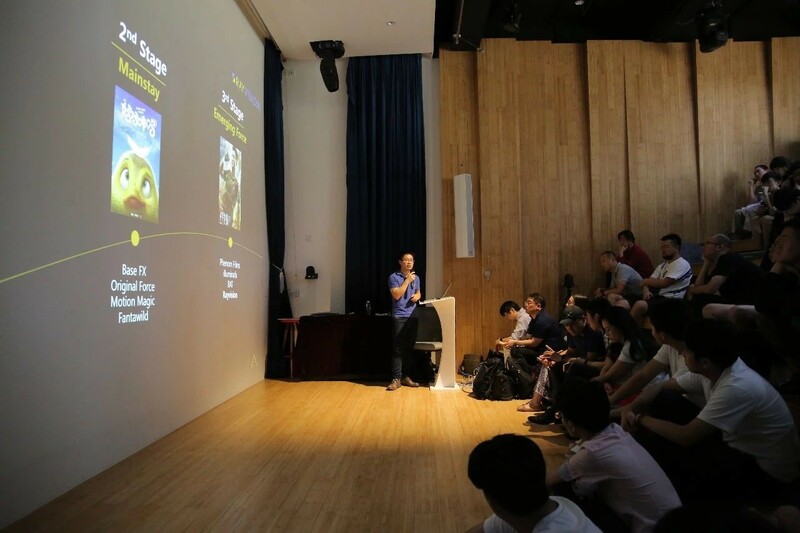 At the same time, Haibin Zheng also shared the market development of China's CG film industry, and the cloud rendering technology provided by Fox Renderfarm for the film and television animation industry. SIGGRAPH CAF Animation Exhibition and Sino-Japanese Technical Sharing Conference not only brought visual impact and academic exchange opportunities to the domestic computer animation industry practitioners but also stimulated their interest and confidence in the CG industry. 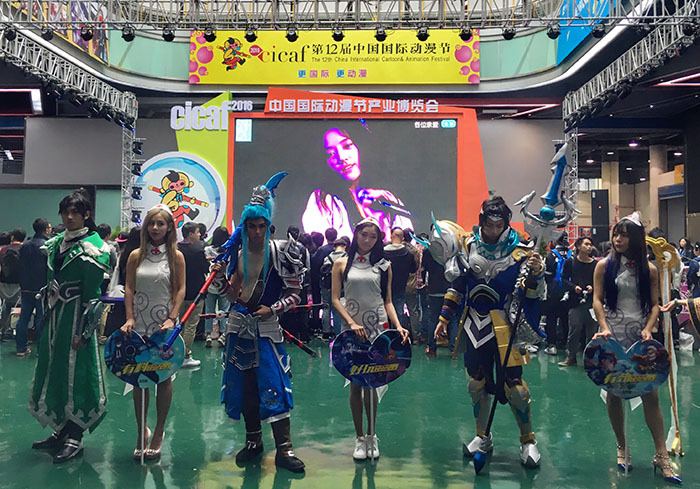 After the event, many people in the industry expressed their affirmation and approval. 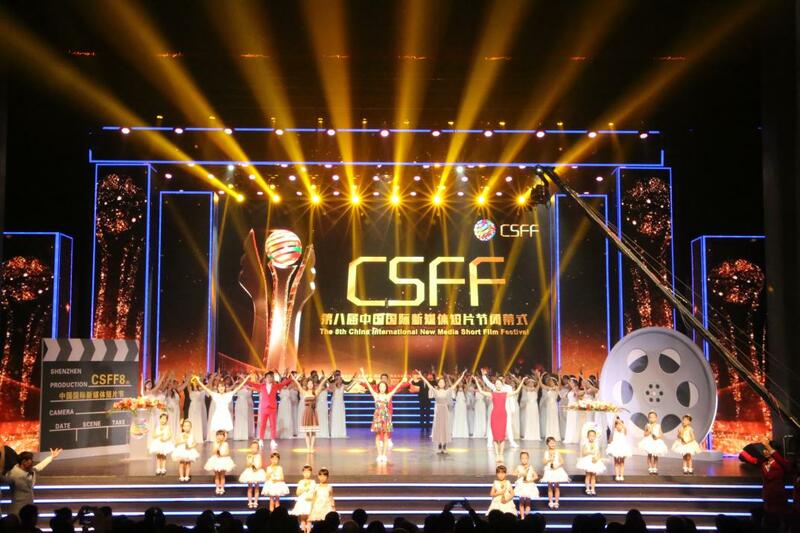 They hoped that more activities like this could be held in China, and the latest foreign technology practices will be introduced to the domestic market. 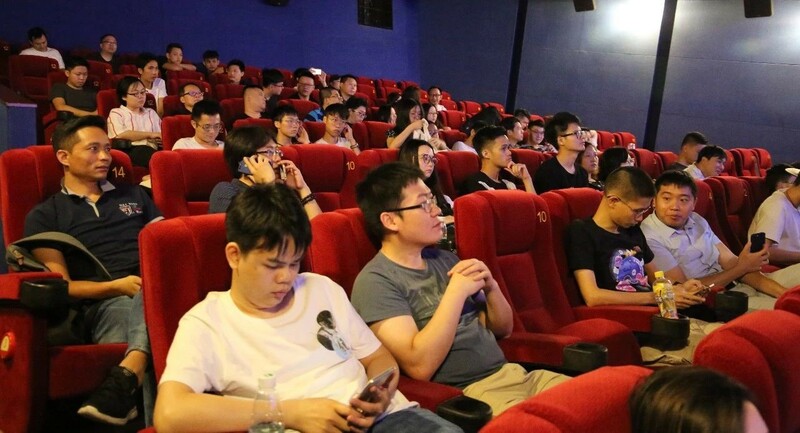 The experience of CG production will be shared with the industry, and the power of the domestic computer animation industry will continue to be injected. In addition, Ken Anjyo, Youcihiro Miyake, and others participated in the animation exhibition and theme sharing, also visited Fox Renderfarm to visit and accept an exclusive interview.